Can't help get the W (Dub) if he's always in the tub. Brown is talented, but always seems to pull up lame each year. Give me Deebo or #TheCondor (Butler) in the 2nd. Here's my take: All this talk of a 1st Rd. QB is a head fake...Skins don't like any of them enough to pull the trigger in the 1st. I think the Skins are content to BPA or trade back and get a QB in 2020 or Rosen. In fact, the moment Cardinals take Murray with #1, their leverage is lost and will dump Rosen for whatever they can get. Teams will know they have lost faith in him and aren't going to pony up more than a 3rd... maybe not even that. So Skins take Edge in Rd. 1, WR in Rd 2, BPA in Rd 3 (+2), and look for OL help later on Day 3. As for QB? A developmental guy. I think they like Finley or Stidham. My sneaky hunch? They like Easton Stick because he's run a pro offense and wins, is proficient in RPO and RO, but they want him Rd. 5 or later. And you'd be lighter in the wallet Master Blabber. I've been watching football for 45 years and have a pretty good grasp of what identifies as good technique vs. bad technique. It's why I used the term "catching".. because that's what Flowers is doing. "To piggyback on your post, the other benefit of AP is the work ethic he possesses. He can show Guice how to be a pro." Which National NFL personality did you get this from? Kay Adams? I notice he "catches" a lot of D-Lineman and his instinct is to put his hands outside on their shoulder pads. That's holding in the NFL. He's going to have to be broken down and rebuilt by Callahan in order to even be serviceable for the Redskins. Tall order. In addition, there are interior lineman that are technically ready to play RIGHT NOW in this draft. I pray Skins draft one, along with a Tackle project with upside, and jettison Flowers before the season starts. The Redskins need play makers... explosive play makers. Think slants that go to the house! Think breaking tackles and shaking defenders. They don't need receivers who can't separate, are slow footed, and only move the chains. Harris is a nice story but let's be realistic here. He's a possession receiver and virtually every NFL team has a couple on their practice squad. What "responsibility" does the media have to ask the tough questions? 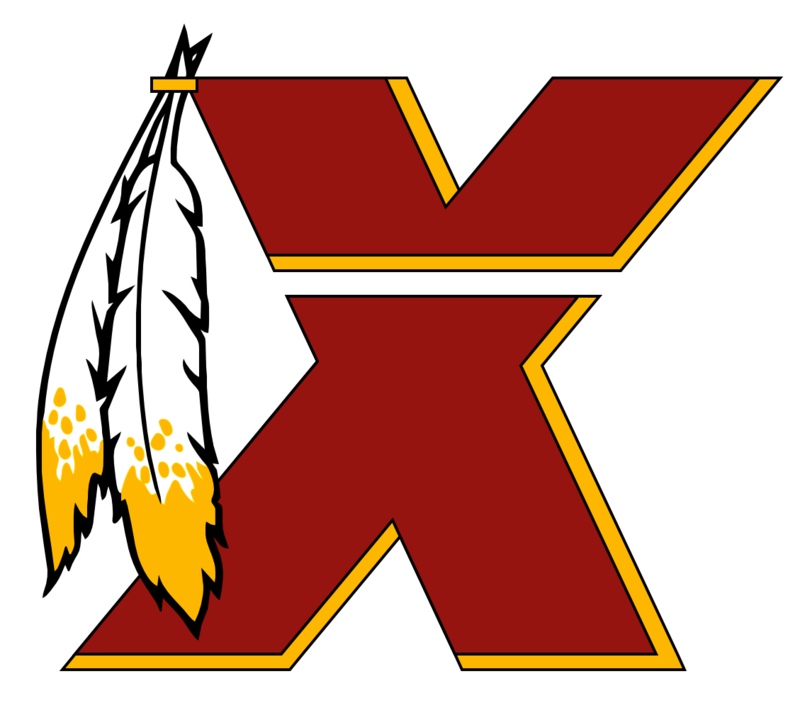 I happen to think part of the issues with the Redskins team under performing each year is because they believe the fawning press articles from the Washington press. Every year articles are written about how good the Redskins roster appears to be and how the sky's the limit. In reality, the team lacks talent and is often out coached by opposing teams. As soon as players realize, and this generally happens half way though the year, that the team doesn't compare to top tier teams in terms of talent and top coached teams curb stomp them, they give up and crash and burn. Draft Bradbury in the 2nd / 3rd and shift Chase to Left guard. OL problems solved. Find young quality backup Swing Tackle to team with Christian and one or the other takes over for Trent Williams next year. Williams is breaking down and shouldn't get another contract from the Redskins. I've been saying for 3 years Redskins should get out of the Richmond VA Training Camp deal. It's a circus, there are tons of distractions, and the bad press for financially strapping the city does no one any good. I think the Skins should go to the Warm Springs VA & Greenbrier Hotel, which is out of the way and focus on chemistry and team building. Hell, I'd be open to going back to Carlisle or Frostburg at this point. Anything to get out of the limelight and focus on football fundamentals. Snyder fires Allen, Gruden, rest of coaching staff, strength training staff, nutritional staff, save Smith & Shaeffer. Doug Williams is given ceremonial Team President role (Face of Franchise) with no input on football operations. Smith installed as GM with sole & full control of ALL football operations. Shaeffer under Smith and in charge of Salary Cap. Smith / Snyder determine franchise plan to return Redskins to competitive, then Super Bowl contender. Plan is mapped out and approved by both. Plan must include Alex Smith cap hit and ways to minimize constraints as well as identifying core Redskins to keep and veterans to trade or release for cap relief. Snyder first consults experts that advise how to restructure training facility & nutritional program. State of the Art program established Smith hires Head Coach, scout staff, strength training staff, nutrition staff. Head Coach hires own staff and implements culture improvements. Block heads on team identified and jettisoned. Snyder voids agreement with Richmond VA for Training Camp and moves camp to smaller & more rural college location. Carlisle, Frostburg, Warm Springs VA to name a few. Focus shifts from spectacle of Training Camp and Marketing to Team Building in isolation with minimum distractions. New coach is given time to evaluate McCoy, Johnson, or Sanchez and all 2019 QB prospects. Alex Smith most assuredly will not play 2019 and most likely never again. However, he is treated with upmost respect and his contract honored with no questions asked. This will go along way towards building mutual respect between team and it's players. New coach chooses QB path and implements plan to improve QB play within his offensive scheme. Draft BPA, rookie QB if plan dictates, and / or team needs as warranted by team draft board. Snyder gives new coach / GM 3 years minimum to implement plan with no interference. Year 4 of new GM / Coaching Staff - Snyder measures progress, plan revaluations, goals / results identified for Year 4 & 5. Post Year 5 if goals not met - Snyder determines if new direction needed or new plan created. I'm done with Gruden. He's an 8-8 / 9-7 coach under perfect conditions. Half the times his teams don't even get off the bus to play. Poor motivator, poor game planner, even worse half time adjuster, and seemingly a bad eye for talent. I'm ready for a full house cleaning of the front office. I want a new GM hired that in turn hires his own staff. It's time. The TE from Pitt on the list twice. Additionally, I thought they signed the TE from Merrimack Dillon Salva. I agree his throw to Doctson, and to a lesser extent to Quick, won the game from an offensive standpoint. But if Wilson escapes that sack and makes a play and we're looking at two plays for a TD from say the 20... do you think the Redskins hold them out? As it was D. Hall made a hell of a play on the hail mary to keep them out of the endzone. Watch his tape... he's on the ground a whole lot at Iowa. Besides being underweight (289 lbs) he also appears to have rather bad balance. I think the Redskins expect for a serviceable LG to shake loose from another team before training camp. McClain did win the Seattle game for the Redskins. It was his shoestring tackle of Wilson, forcing the pass with the knee down, that essentially sealed the win for the club. Other than that.... JAG we paid to pretty much underwhelm for a season at a price of $7 million.